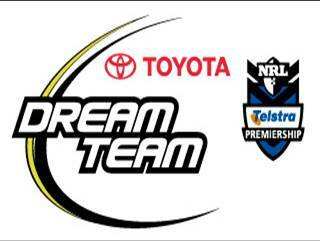 Some of the Top Performers of NRL Dream Team in 2010 (averaging 50 or more) are Corey Parker (Broncos), David Stagg (Bulldogs), Nathan Hindmarsh (Eels), Cameron Smith (Storm) and Robbie Farah (Tigers). Pretty much all the top Dream Team Coaches had them in their side at the end of the season. We all want them in our team NOW but the $4.2 million salary cap, State of Origin commitments and the bye rounds means we have to choose carefully. After round 19 last year, I reviewed the top DT performers and published the table below. The signing of Casey McGuire by Parramatta in the off-season caused few ripples around the NRL, but on Saturday’s evidence that could soon change. The 31-year-old former Brisbane utility has returned to Australia from a four-year stint with French side Les Catalans, and looked a class act against West Tigers at Campbelltown as the Eels eased to a 30-10 trial win. Playing out of dummy-half, McGuire was sharp around the fringes of the ruck and gave Parramatta the energy in attack they so badly lacked last season. Once the season proper starts I will be looking at each team and some of their key players as we get closer to the start of the silly season – the bye rounds and I’ll use “Dream Team Pro” so at least their will be a bit more information and statistics than last year. Every year round 9 has a huge impact on coaches with ½ the NRL clubs (8) having their first bye round. No doubt everyone has had a good look at bye rounds when developing a strategy for the 2011 campaign and finalising your 25-man squad before the round 1 kick of on March 11.